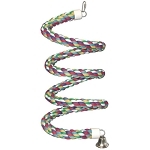 5 x 7.5 x 7.5 "
Rope bungees are a great perching alternative that promotes fun, balance and exercise. 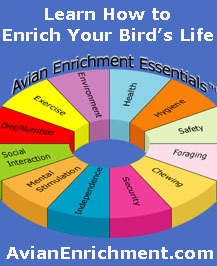 Every bird needs one. 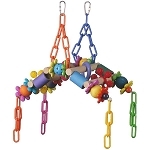 Love these bungees and the size variety is fabulous.....getting this one for my amazon! Q: What is the composition of the inside wire? What type of metal? 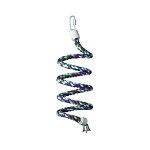 A: The wire is electro-galvanized steel. Please note that not all methods of galvanization are "equal" when it comes to posing a risk of zinc ingestion. • Hot dip galvanization is where the metal is dipped in essentially a bath of molten zinc. Metal treated in this fashion has a dull, rough and flaky surface of zinc. 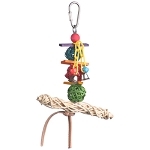 If a bird spends an inordinate amount of time chewing on toy hardware with a flaky galvanized coating then it is possible they could ingest enough zinc to build up toxic levels in their system over time. • Electro-galvanization is process where a thinner, tighter-bonding coat of zinc is applied to a metal via electroplating. The surfaces of the materials treated by this method are smooth and sometimes shiny in comparison to those treated by the hot dip method. In other words, there are no loose or flaky zinc components available for birds to swallow. Metals treated by this procedure do not pose a risk of zinc ingestion as long as the metal object cannot be swallowed in its entirety. 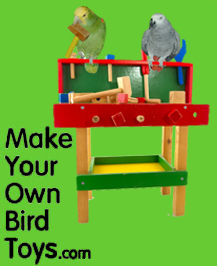 Many avian health specialists have stated that in order for zinc related health problems to result, a parrot must actually swallow the metal components and that "beaking" the parts is insufficient for toxicity to develop. 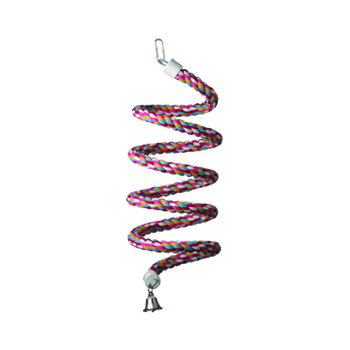 Swallowing the wire used within the bungee would not be physically possible and therefore poses no risk. 34 points will be rewarded to you when you buy this item. 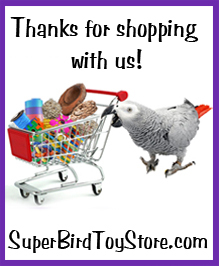 Be sure to check out our sister sites for great educational content, parrot e-cards, bird toy parts and lots of fun and games! 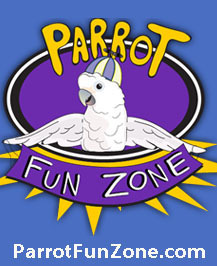 Copyright Super Bird Toy Store. All Rights Reserved.